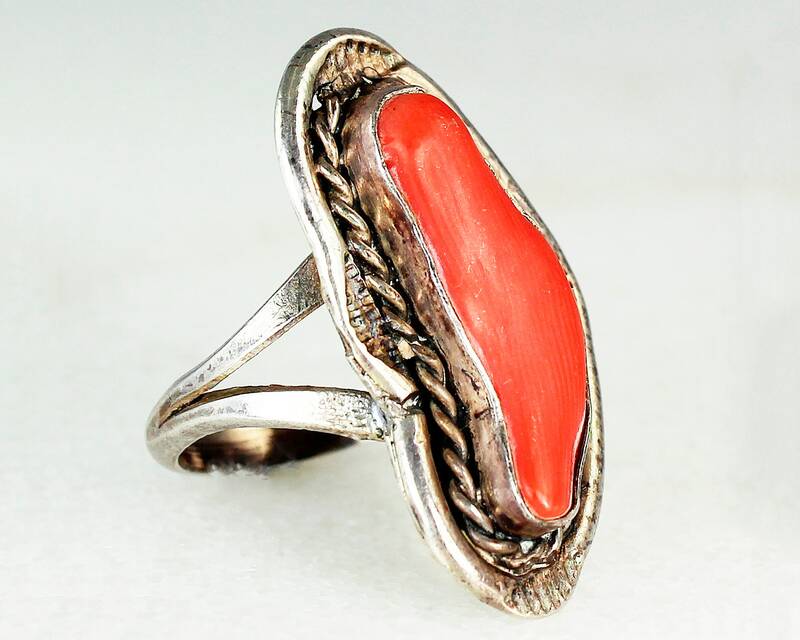 Vintage Coral Sterling Silver Southwestern Ring. 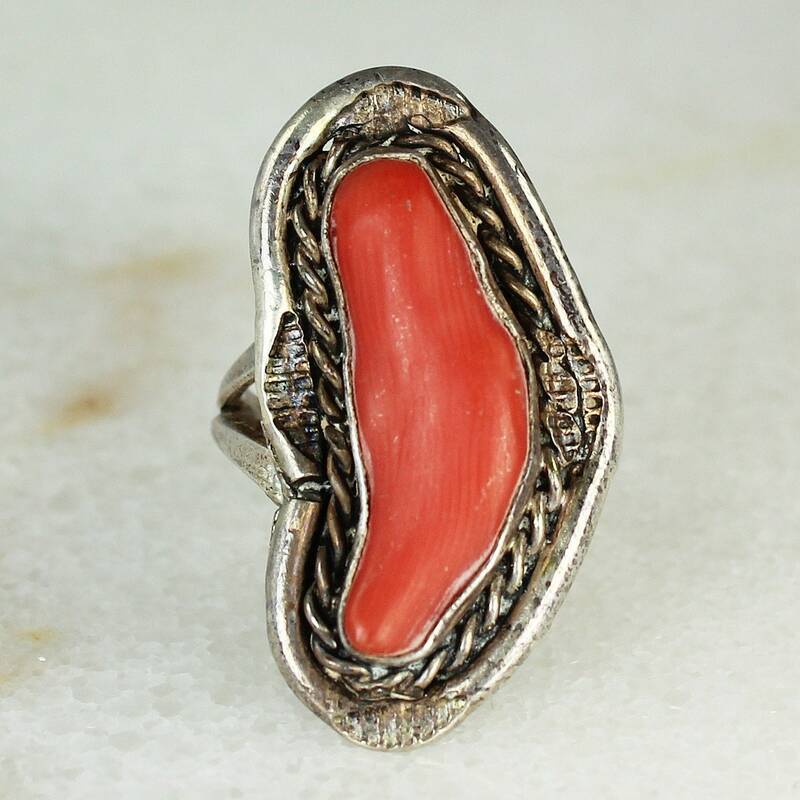 This hand made ring features and elongated head with a piece of red branch coral that is bezel set, then surrounded by a rope twist inside a raised frame with hand stamped accents. Set atop a split shank. This estate piece was made in the 1970s. MEASUREMENTS: Head is 1.13" long by 0.68" wide.